South African Football Association president Danny Jordaan has congratulated Banyana Banyana for qualifying for next year’s Olympic Games in Rio de Janeiro. 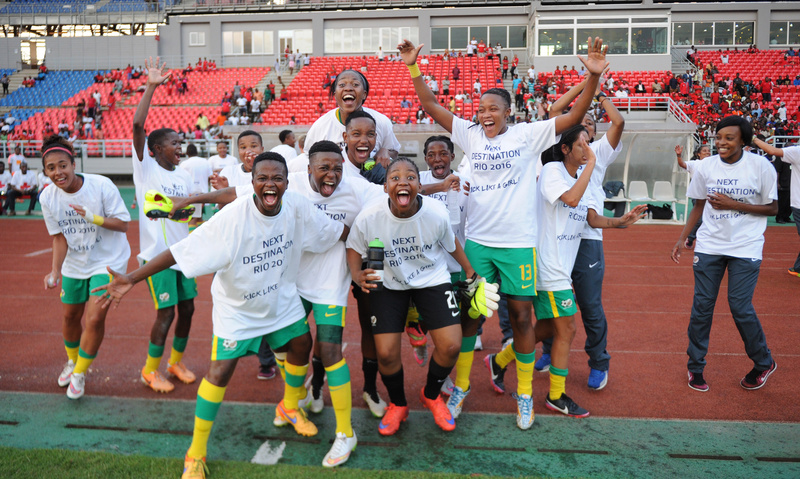 This comes after Banyana qualified for the Olympics by beating Equatorial Guinea 1-0 away in Bata on Sunday. “Today (Sunday) is a historic day for women’s football. Not only have they qualified for the Rio Olympics but have done so in style – winning away from home in a ‘hostile’ Bata environment. “Few teams survive trips to Equatorial Guinea as Nigeria would attest but coach Vera Pauw plotted one of the greatest wins in South African football history,” Jordaan told the official Safa website. “The team showed amazing character and I, on behalf of the entire South African football family would like to urge the team to continue building on this remarkable feat. They must now dominate continental football and work on being among the top sides in the world. They have the capacity and character to do so.